Renovation work will begin soon on the historic Clabber Girl sign that sits just east of the Rose-Hulman main campus. Rose-Hulman Institute of Technology and Clabber Girl Corporation are working to restore a beloved Indiana landmark, a large billboard promoting Terre Haute as the home of Clabber Girl Baking Powder. The 44-foot-long billboard along U.S. 40—the Old National Road—on the eastern edge of Terre Haute has welcomed visitors to the city for more than 80 years. It is believed to be the oldest billboard in existence in Indiana and, with its large clock, one of the first electric billboards in the country. 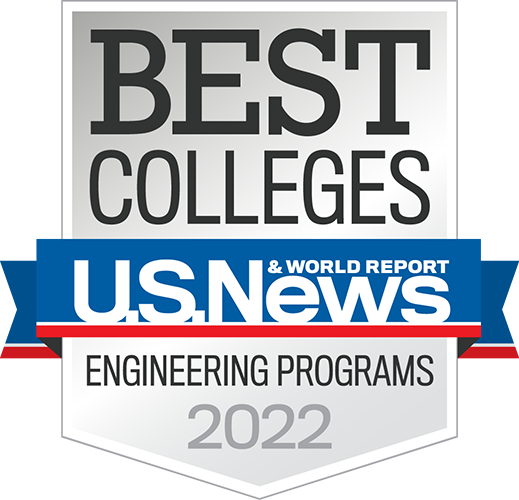 Rose-Hulman took over ownership of the sign in the fall of 2017 as part of the institute’s purchase of more than 1,100 acres of property from the Hulman family, founders of Clabber Girl, including the southwest corner of U.S. 40 and Hunt Road on which the billboard sits. The restoration project will begin soon with trimming trees whose overgrowth has infringed upon edges of the billboard. Workers also will improve the sign’s wooden frame, repair and replace mechanics in the working clock at the top of the sign and give the Clabber Girl message a complete facelift. “I’m looking forward to restoring this iconic sign to its past glory so that it can greet visitors to Terre Haute, my hometown, for many years into the future,” said Hochhalter, a lifelong artist who has worked in art-related fields, including advertising and computer graphics. She works in traditional oil and acrylic painting, illustrations, drawings and sculptures, and her artwork has been displayed in Chicago and New York City. She is currently finishing a 60-foot mural at the Crossroads Plaza and a bronze sculpture, both in Terre Haute. 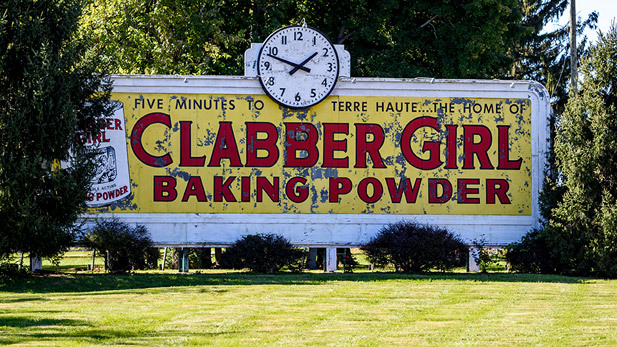 With headquarters in downtown Terre Haute, the Clabber Girl Corporation is a private holding company that has produced baking powder since 1899. Then-owner Anton “Tony” Hulman Jr. developed a national sales campaign, including roadside billboards, during the 1930s in hopes of making the baking powder brand a household name.